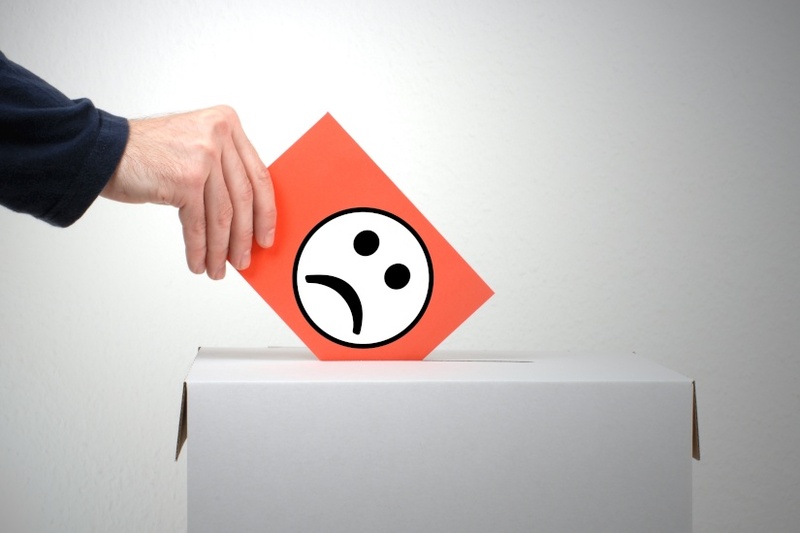 Everyday Aussie households’ satisfaction levels have remained stagnant in the past year, while the majority of individuals believe they gained very little or nothing at all from the country’s economic success. What is causing the disconnect? According to data released this week by CommBank, the satisfaction level among Australian households has tracked sideways in the past year. The Household Satisfaction Index (HSI), which looks at the income, wealth and spending habits of 2.5 million CommBank customers, found that although satisfaction remains relatively high at 0.5 points, people are feeling despondent with key areas such as civic engagement, environment and education. The data reflects the findings of the Community Pulse 2018 Survey, conducted by the Community for Economic Development of Australia (CEDA) earlier this year, in which 44 per cent of Australians indicated they believed they had not gained anything from economic growth and 40 per cent thought they’d gained very little. “There is a disconnect between Australia’s strong economic track record and the community’s sense of having shared in this growth,” Jarrod Ball, chief economist at CEDA, was quoted as saying in CommBank’s HSI report. This is despite Australia experiencing an unprecedented 27 years of uninterrupted economic growth. Melinda Cilento, chief executive at CEDA, said there are a number of reasons why everyday Australians are feeling disconnected from this impressive growth. “We all know that wages growth has been pretty weak and that there has been quite significant cost of living pressures,” she told Nest Egg. “Only 5 per cent of Australians reported having personally gained a lot from our record run of growth, while 74 per cent felt larger corporations and senior executives have gained a lot. Ms Cilento also identified a lack of city planning across the country coinciding with strong population growth as leading to dissatisfaction among Australians who are being impacted by congestion issues and poor public transport. “Immigration has been a really important feature of our economic growth and our economic development and will be into the future, but we’re starting to see that questioned because the strong population and immigration growth hasn’t been as well-planned for as it could have been,” she said. Ms Cilento said these factors are contributing to widespread disillusionment towards economic growth and the reforms needed to ensure that this growth continues. “If you go out and say to people, 'We need more economic growth!' number one, they don’t see that as a benefit. Number two, if you say, 'We need productivity improvement!' they absolutely don’t see that as a benefit. They just see that as a negative, and we know that both of these things are actually the foundations to economic development and our progress, both economically and socially,” she said. Ms Cilento said this lack of satisfaction has resulted in the public being disconnected from fundamental areas of economic reform such as tax reform and connecting the economy to global opportunities, which will have significant ramifications for Australia’s economic growth in the future. “I think what people are saying is they don’t feel that economic growth is actually translating to a better life for them financially,” she said. Ms Cilento said to improve satisfaction moving forward, policy makers and institutions need to connect people with tangible opportunities that reflect the importance of economic growth as well as highlight to them how far Australia has come. “We do need to remind people that growth has actually delivered quite significant progress. Australia’s economic success has resulted in people living longer, our education outcomes improving and increased employment rates. These are all positive things that we need to acknowledge,” she asserted. “We’re going to have to be proactive [in the future]. We need to make sure people have the education and skills that connect them to employment, that we are creating jobs by connecting Australians to the next wave of opportunity, which is largely around technology and data, and that we have the right social safety net, so that people are confident that they’ve got support. “If we’re going to position Australia well to capture opportunities and also make sure we connect as many people as we can to those opportunities, we need to keep updating our regulations regarding technology, critical services, population, institutions and the workplace, and we’re going to have to be really agile in our policy thinking around those issues in the future. We can’t just set and forget.